All my Jake Carrington Thrillers have been inspired by aspects in and around my life. When I was twenty years old, I was offered an office job at a cemetery in my fading central Connecticut industrial town. The cemetery superintendent who hired me was a visionary who realized property boundaries would hamper the growth of the century old business, so he opened a crematorium, too. I’d like to have died myself when I found out I had to assist with the cremations. As I look back working at the cemetery/crematory was the best job and best boss I had outside of writing. How All the Hidden Sins came to life was due to my overactive imagination. While performing the cremations my imagination ran wild with what if scenarios. It took another twenty years before I created and put these ideas to paper. 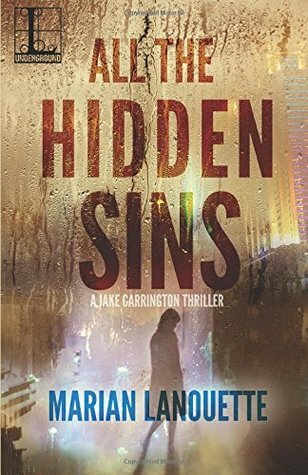 And now I’m excited to share Jake Carrington’s Thriller series with you. I’ve used that experience with cremations as the focal point in All the Hidden Sins, the second book in the series. All content is pure fiction from my inquisitive and devious mind. 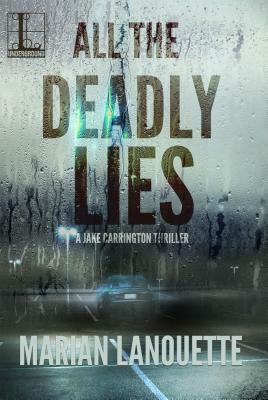 In the first book, All the Deadly Lies, it explores how secrets and ego lead to deadly results. The brutal death of a student forces Jake to revisit his sister Eva’s murder seventeen years after she was killed. Her killer is now up for parole and Jake is forced to divide his attention between solving the young student’s case and dealing with his guilt. If he’d only given Eva a ride to her destination when she asked, she’d be alive today. He lives with that remorse every day. An interesting cover and story. Thanks for sharing! No question for the author.